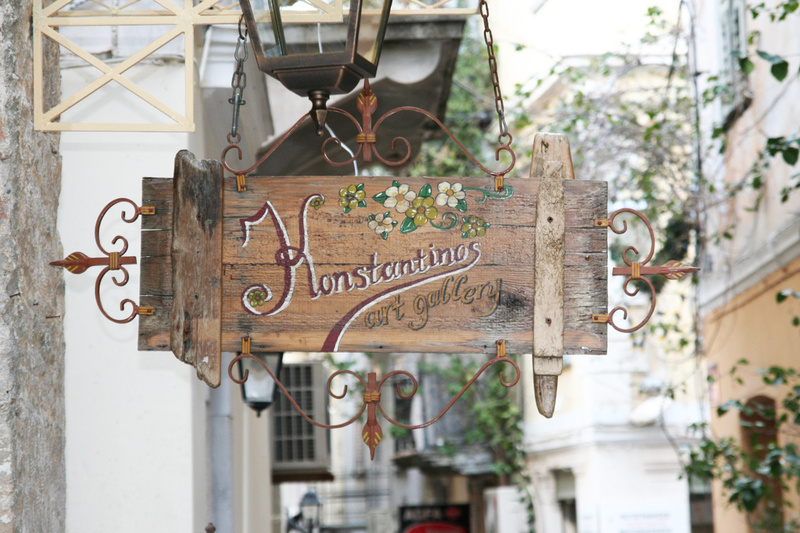 Konstantinos is an artist for whom nature has been the only collaborator for many years now. In this ?partnership? nature has offered him abundantly its precious goods,as wood, metal, stone and others, which due to force of habit, do not attract our attention. Konstantinos's role is to shape and combine them in a unique and completely personal style, giving them a different form of life. Thus proving that their coexistence with us - in their new look - is wonderfully possible in our everyday space. 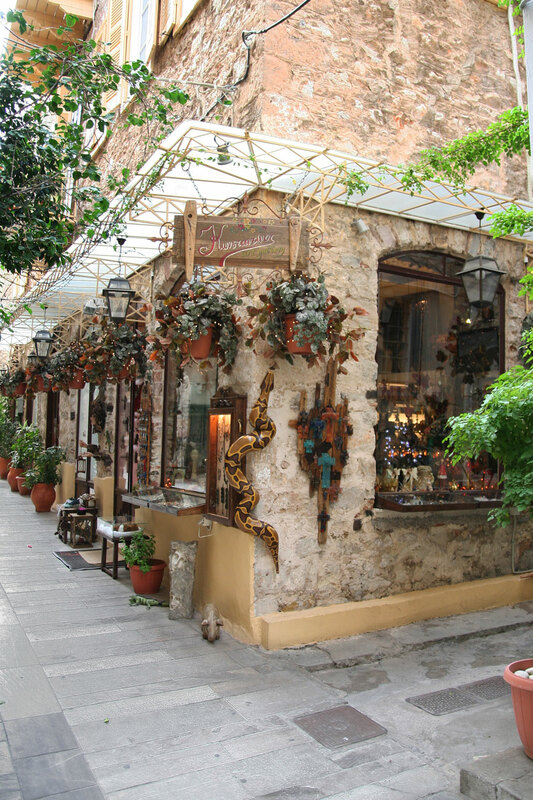 In a cobblestone alley in the heart of old Nafplio, between traditional stone buildings, is located the space that houses the works of Konstantinos. Among other chosen objects and jewels one can find a wide range of the artist's works. In a very friendly atmosphere with nice music, Nadia is always there ready to serve you. The workshop of an artist if is not the best place to capture an idea, certainly is ideal for the realization. Right next to his house and a few meters away from the sea, is the place where Konstantinos materializes his thoughts. His two friends, Ouzos and Trouble helping him daily for several years and play an important role in his inspiration. As long as they don't bark too much! 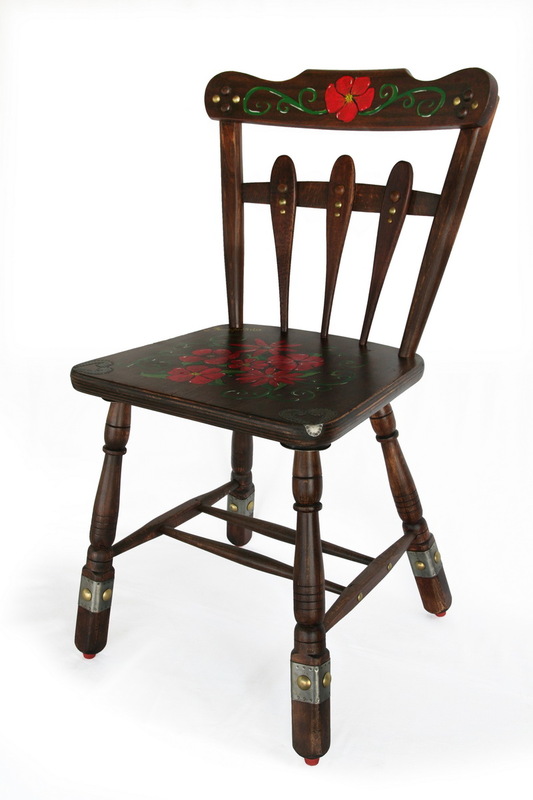 Handmade chair from kiln dried beech wood, hand painted with bronze ornaments. Before clicking "Checkout" please read the ordering instructions. Welcome to our online shopping system of works of art, konstantinosart.com. Below you will find all the necessary instructions to be able to make an order. AVAILABLE: The project that you see in the picture is the same one you will receive. AVAILABLE ON REQUEST: The project you will receive will be as close as possible to the picture you see. The differences will be very small and are only due to diversity of raw materials (the shape of the raw materials, the color, the dimensions, the weight etc. were formed in a unique way by nature or by the conditions of maintenance, that is practically impossible to be available again). UNAVAILABLE: This work is not available and cannot be created again. 1. When you see a project that you are interested in you select "ORDER FORM". 2. Right after, opens a form where you fill in your contact details, (email field is required), the desired quantity, the way you desire to pay, comments on the order (if necessary). After filling in your details, you click "ORDER". 3. With the above procedure, the administrator is automatically notified on your order and an email containing the code of your order is sent to your email. You can use the code in the "TRACK ORDER" form at the bottom of the page, so you can check the stage of the order. 4. The administrator calculates the time of preparing / packing / dispatching of your order and shipping costs, registers your details and a message is sent to your email. 5. If you agree with the delivery time and the shipping cost you complete your order by following the relevant link. If you choose payment via PayPal you will be redirected to the website paypal.com where you can make your payment through your account or with your credit card. If you choose deposit in bank account, inform the administrator who will begin processing the order after checking the deposit. 6. Once payment has been made, the preparation of the item begins. By dispatching this order, you will receive a new message in your email with the details of the courier company and the relevant code. In all steps of the order you can use the code in the "TRACK ORDER" form at the bottom of the page, so you can check the stage of the order.